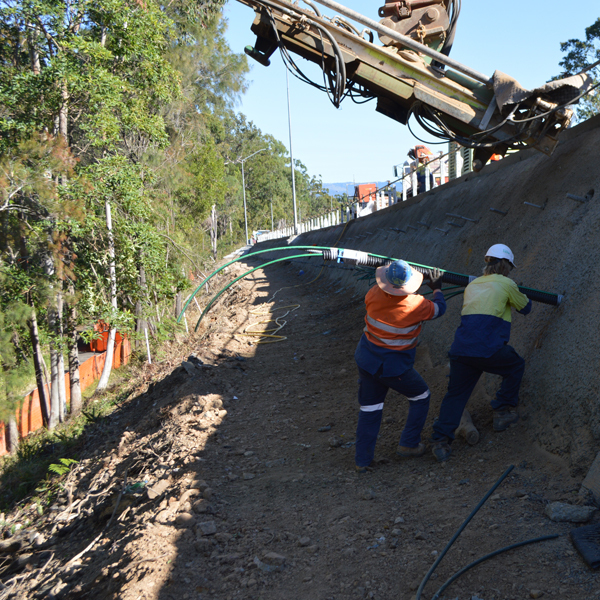 QPS provide soil nails to support unstable slopes or batters for both remedial applications such as slips or for fresh excavations where batter steepening is required. The technology involves drilling a hole into the slope at an inclination dipping from horizontal to a required depth followed by the insertion of a solid bar that is placed central to the drill hole and cement grout encapsulated. 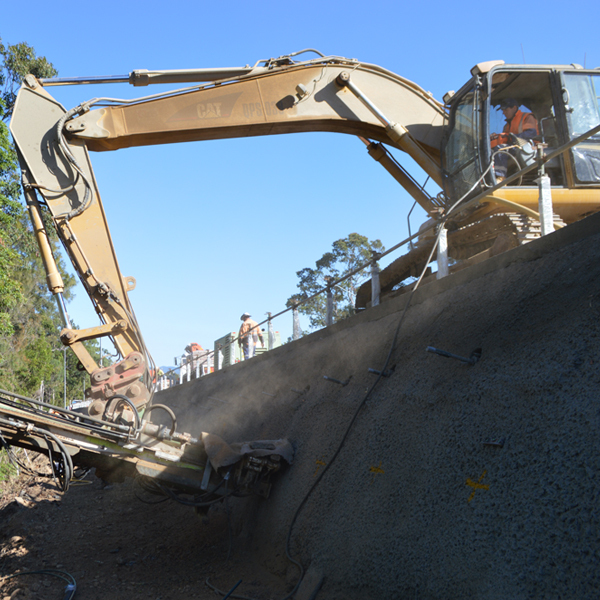 The soil nails are installed on a grid like pattern to the face of the slope and act to reinforce and stabilise the slope. Load is transferred via a plate/nut or cranked end of the bar which is integrated with the surface structure which could either be reinforced shotcrete or tensile rockfall netting. Depending on your needs we have the capability to provide short and long term design life soil nails with various levels of corrosion protection including up to 100 years. QPS provide temporary soil nails in applications where the design life is usually less than 2 years. 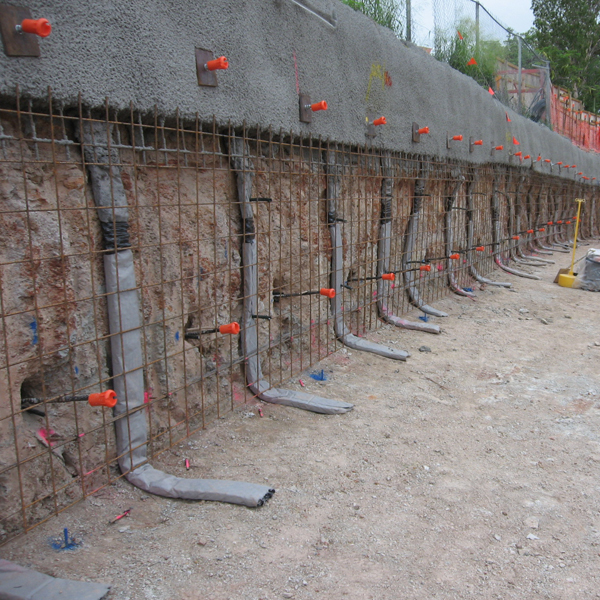 Generally, QPS provide temporary soil nails for temporary works structures for construction access to new builds. QPS provide permanent soil nails where the demands for an extended design life are required, usually 100 years. The structure of the permanent soil nail comprises of a reinforcement grade hot dipped galvanised bar encapsulated within additional corrosion protection of a corrugated polyethylene sheath which acts as a barrier for corrosion protection. The inner and outer annulus of the sheathing is grout filled to transfer load and provide long term durability. Anchorage components at the surface are usually hot dip galvanised.